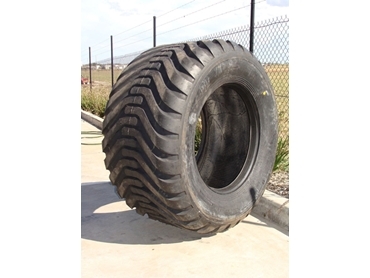 Bearcat Tyres presents the Ceat Alutra Heavy Duty Flotation tyres with heavy duty construction and improved bead areas to help provide maximum support in heavy and high loads. The Ceat Alutra, Indian manufactured, Heavy Duty Flotation tyres feature 700mm and 800mm wide options in the TR422 low impact traction pattern. The tyres utilises a natural rubber in its compounding, which offers a durable tyre that reduces the impact of heat build up in transit. The Ceat Alutra Heavy Duty Flotation tyres are available from Bearcat Tyres within their extensive range of farm equipment.